Discover the benefits that a SACH central vacuum system can offer you and the cost-savings it brings to businesses, large organizations and all types of buildings where hygiene, clean air quality and the time needed for cleaning assume the highest priority. Much more powerful than a conventional vacuum cleaner, a central vacuum system provides greater vacuuming power as well as a high level of filtration, with the result that vacuumed air is not returned to the workplace but rather expelled outside. 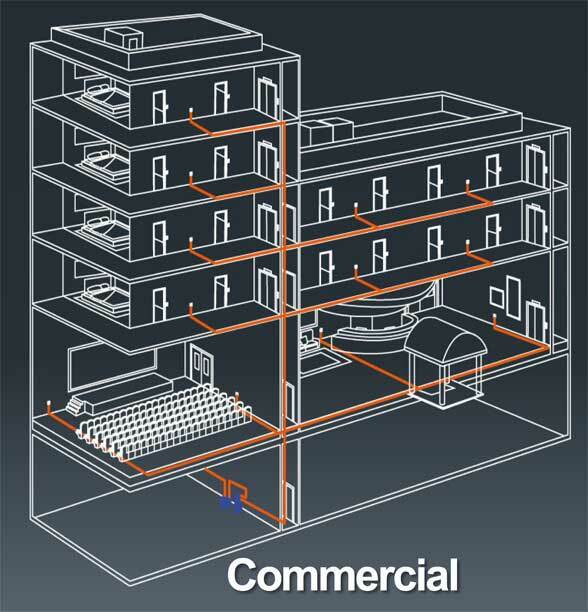 SACH offers a broad range of products designed for projects where the building’s size requires the provision of central vacuum equipment which supports usage for prolonged periods and the capability for simultaneous operation by more than one user.